Are you planning a redneck wedding? Do you want to add some laughter to a county chic wedding? Your order will come with a Description Card describing the Redneck Wedding Wish symbolized by each sterling silver charm. 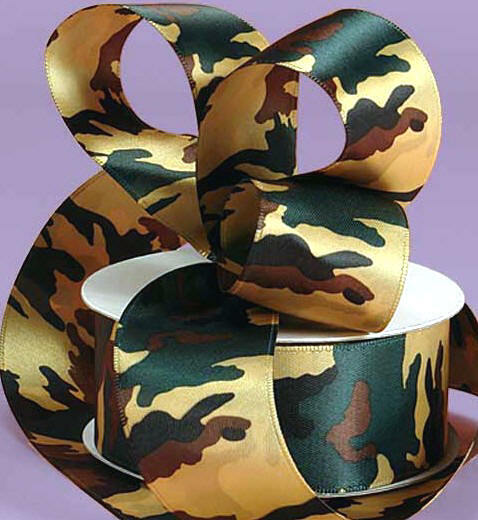 Yes, we even have two styles of camouflage satin ribbon for you to choose from -or- any of our other many colors of satin ribbons. Baby charms Oh No...You Will Be The One To Receive Disposable Diapers As Your Wedding Gift! Confederate Flag Never Stop Annoying a Yankee! Engagement Ring Good News - You Will Be Getting Engaged Without Hearing the Words, "When I Get Out..."! Shot Gun Oh Yeah...You Will Be Getting Married Next! Trailer If The Trailer Is a-Rockin', Don't Come a-Knockin'!